This slide was provided by Dr. Greg Lutz who will discuss his two year findings from his PRP Lumbar Disc Study at #IOF2017 in Denver, Colorado. What do you think? 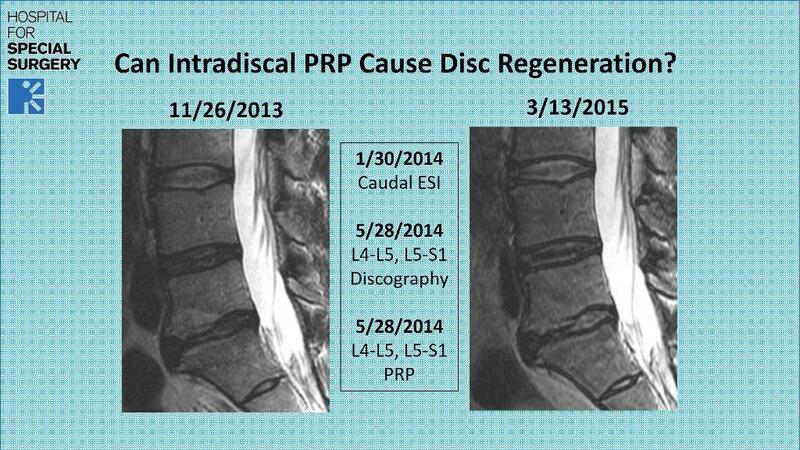 Do you also see lumbar discs regenerate with PRP or BMC? Attend the Interventional Orthopedics Foundation’s 2017 Annual Conference to learn more about this thought-provoking topic and other emerging technologies in the field of regenerative medicine. Early bird pricing ends soon! Register today to attend, learn, network, and hit the slopes of Keystone Mountain Resort with other experts in the emerging field of interventional orthopedics. This is your opportunity to help guide the future of regenerative medicine and extend your visit at one of America’s top ski resorts!